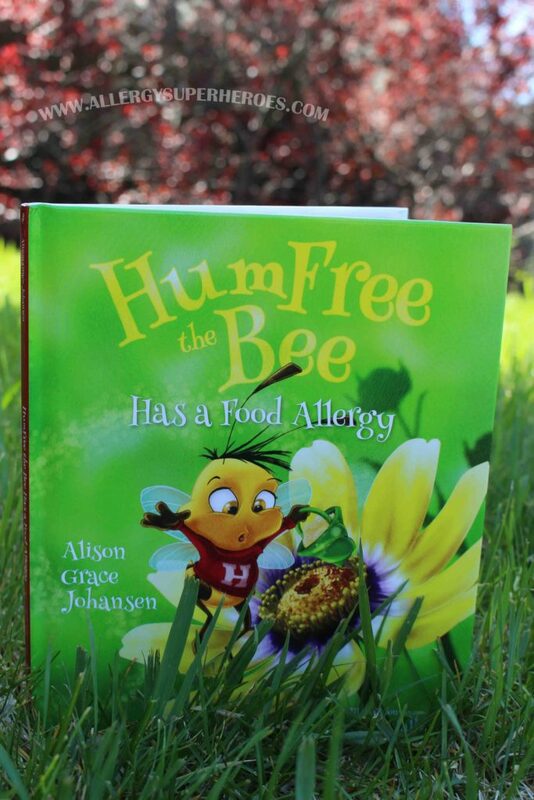 Introducing the charming kids book HumFree the Bee Has a Food Allergy by Alison Grace Johansen, with cute, whimsical illustrations by Brian Talbott! 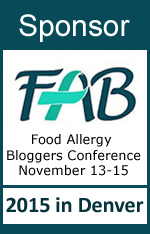 That we can all thrive with a Food Allergy! We had the fortunate opportunity to receive a copy of HumFree from Alison Johansen, aka Mothernova, and I’m very glad we did. Our kids loved hearing her delightful story about the little bee as he learns to navigate the world of food allergies. 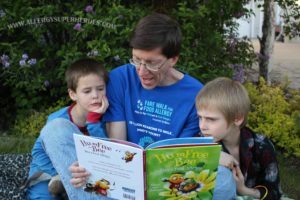 Kids love hearing that they’re not alone, so they connected with HumFree while listening to his tale. 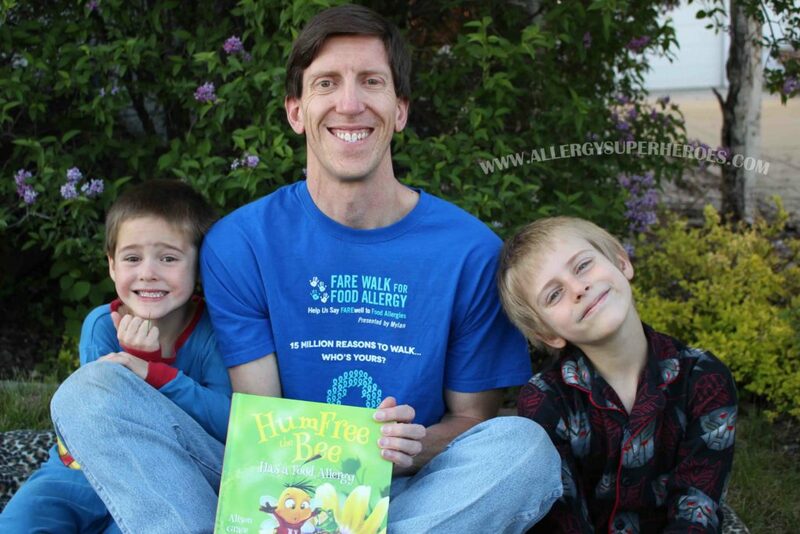 HumFree is a great story for allergic little ones, especially after they are first diagnosed. 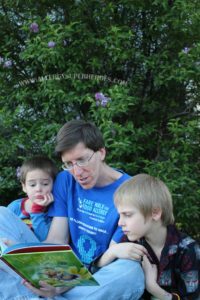 It will give them the perspective that they are not alone, not to mention the confidence that allergies are manageable. But beyond the newly diagnosed and young children learning to navigate their allergies, HumFree also speaks to all children. 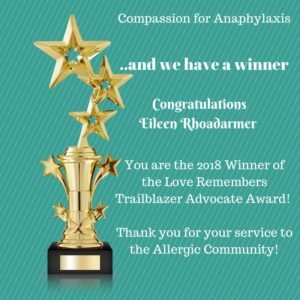 We’ve learned that kids are generally very compassionate about their allergic peers as long as allergies are presented to them in a way they can feel and understand. 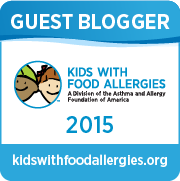 HumFree the Bee is a great way to introduce the concept of food allergies to kids. 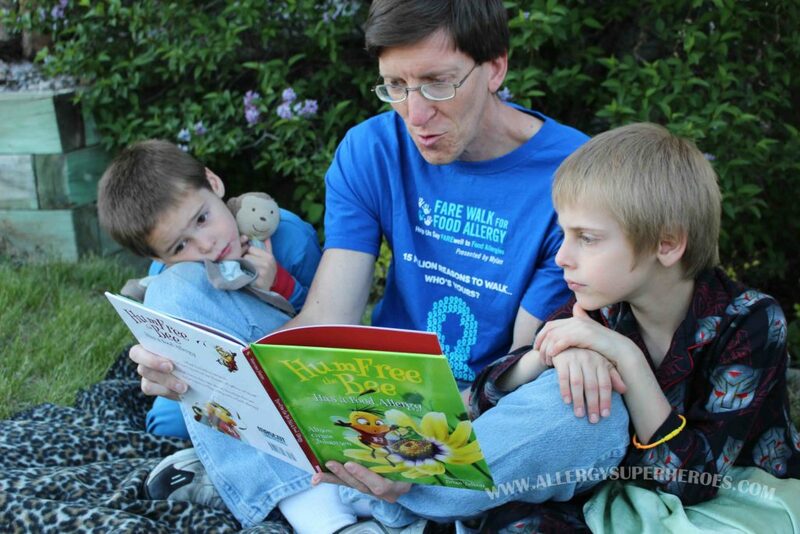 We read the book outside among the purple flowers–a color that HumFree CAN eat safely! 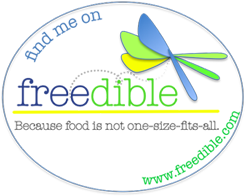 I received a copy of HumFree for free. Regardless, all opinions are my own. I am disclosing this in accordance with the FTC’s 16CFR, Part 255.